Join me at the Innovative Arts and Crafts Fair May 6 – 8, 2016! I am honored to be Co-Director of this community event with my friend and fellow artist, Jean Wyatt. We launch with the First Friday Art Walk Sequim Patron Preview of creative vendors and ‘Propagation’ a music performance by Alan B. Brock-Richmond. 2016 will be the 26th year for the Arts and Crafts Fair and is a 2 day event that provides an opportunity for vendors to sell their handcrafted wares. Recycle, Reuse and Repurpose are an underlying theme of the Innovative Arts and Crafts Fair which will have demonstrations throughout Saturday and Sunday, as well as an Innovative Reuse Showcase and Contest. Over 30 vendors make this event a mainstay of the Irrigation Festival. In addition to the crafts vendors, enjoy a selection from our food vendors and enjoy our main stage entertainment. 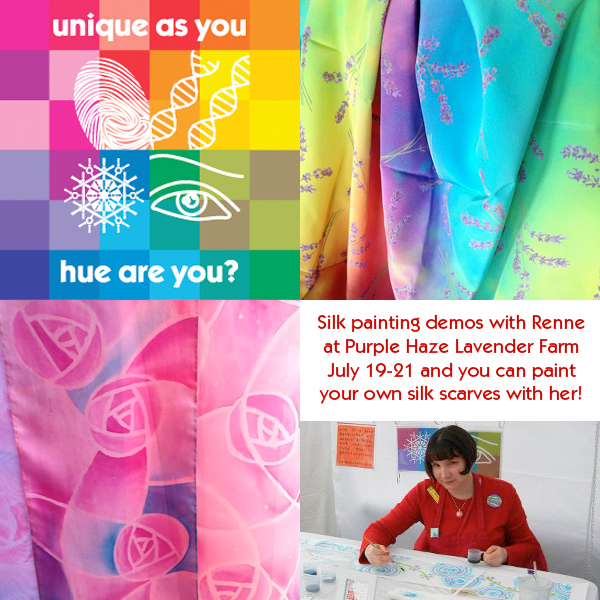 Please join me in my unique as you booth at Purple Haze Lavender Farm where I am demonstrating painting on silk throughout the day on July 19 -21 during the Sequim Lavender Farm Faire. You can paint your own silk scarves with me for $25. Find out “what hue are you?” and discover my one of a kind handcrafted art, apparel, and pieces of flair! Meet my cousin Megan of Olethea’s Adornments who will be with me! Delight in her amazing creative works and some of Susan’s Thistlehill Farm fiber goodies as well! FAQ to Renne: What does your closet look like? Question: What does your closet look like? Answer: People often ask me this question about my closet after seeing me in various outfits. Most of the time they answer their own question correctly. “Is it all lined up in rainbow order?” Pretty much, yes! 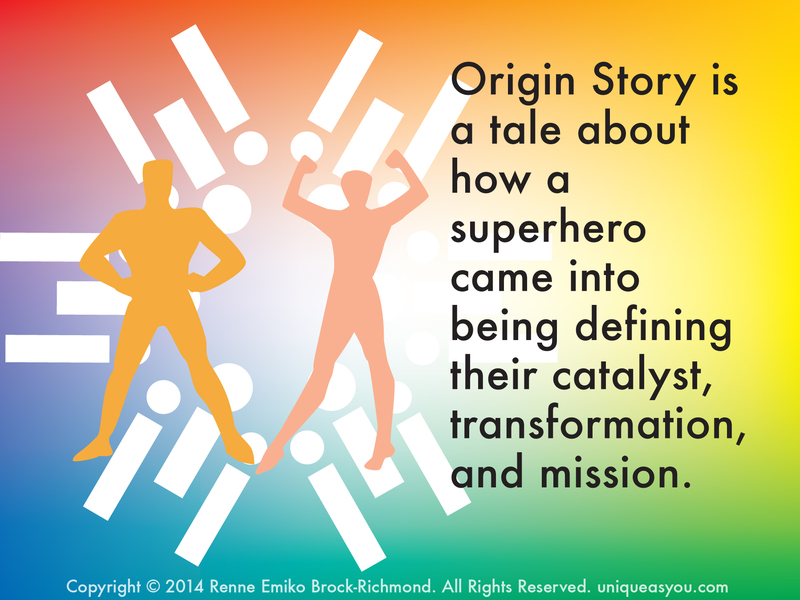 I like to line up colors by inside out spectrum order: Yellow, Orange, Coral, Red, Magenta, Pink, Purple, Blue, Cyan, and Green. This photo is of my tops section, kind of squish to fit in my square photo format. There are a few tops (very few!) next to the magenta you can’t see: purple, cyan, green, multi-colored and even black. 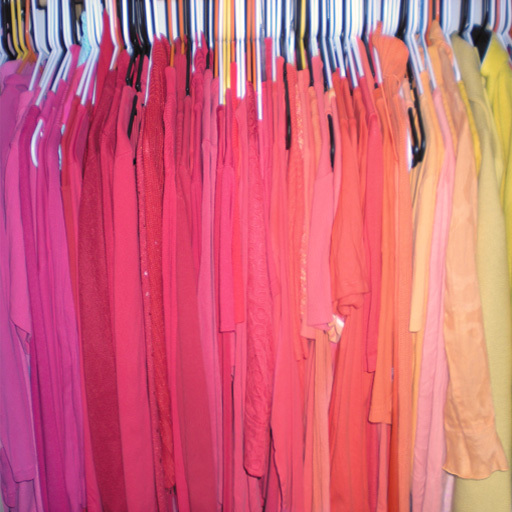 Then the skirts and dresses are in color-coded order as well on the other side of the closet. With this closet layout, it is easy to pick out colored outfits for the day to suit my mood or the particular message I need to deliver. What does your closet look like?